Taxing America provides the first historical study of Wilbur Daigh Mills, chairman of the House Ways and Means Committee from 1958 to 1974. The work of Mills, an extremely influential politician between 1945 and 1975, offers considerable insights into the evolution of income taxation, Social Security and Medicare—three policies at the center of today's political debates. 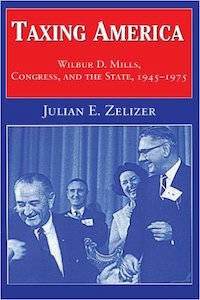 Unlike the existing historical scholarship, Zelizer's book focuses on the role of Congress, rather than the executive branch, in the evolution of the welfare state during this seminal period.